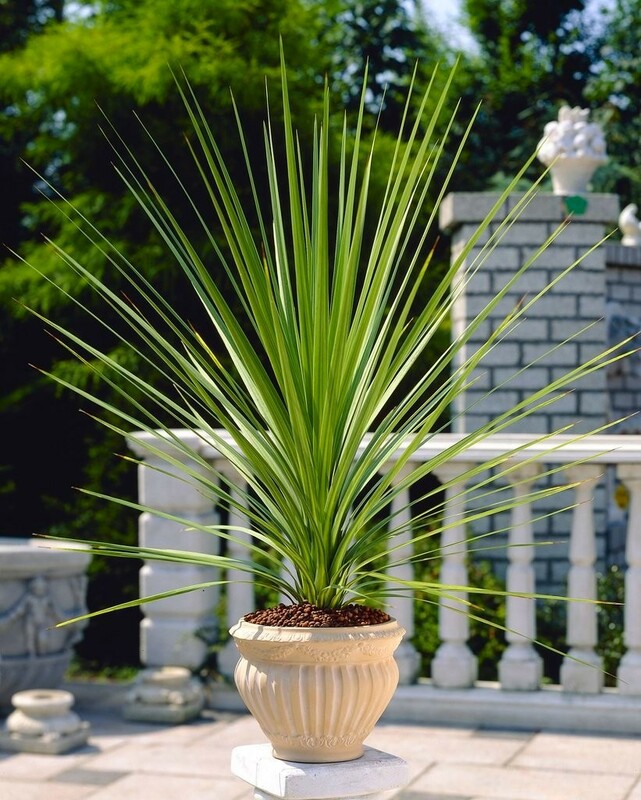 This is a focal plant with an upright and palm like appearance. The very green swordlike strap leaves create a tropical look, yet this 'Torbay Palm' is fully hardy. It flourishes in full sun to light shade and prefers good drainage. It is a fantastic plant to grow for creating stylish focal points around the garden, and also as a centrepiece in patio planters. Fragrant white flowers bloom on clusters on mature plants in late spring. Drought tolerant, and great in pots. Supplied in approx 2-3 Litre containers at around 60 cms tall.